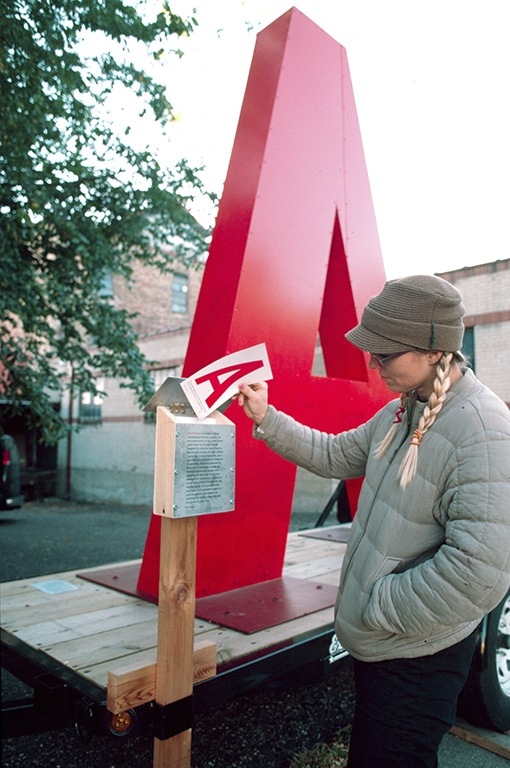 A Project window signs have a red A and text saying “The household displaying this letter supports arts, artists and the ideas they contribute to our neighborhood”. 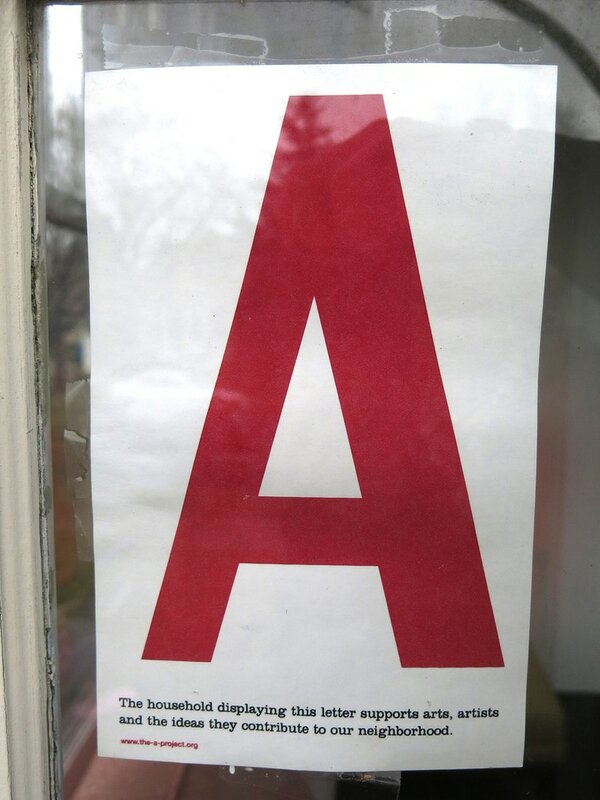 Meant to be displayed in the window of artist/art supporters’ houses, The A is intended to increase solidarity among artists and also to act as a catalyst for interaction. Over 15,000 have been handed over the last 15 years. 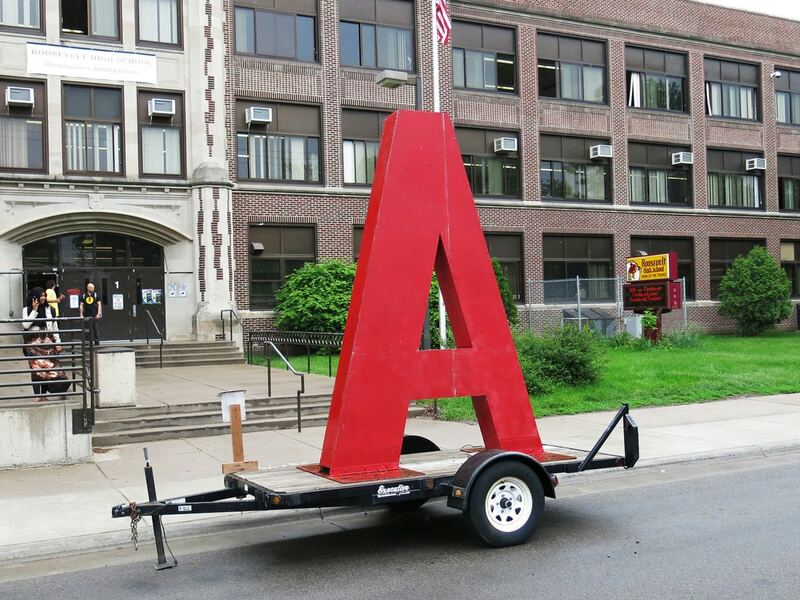 The Big A works to publicize and disseminate A signs, screenprinted signs with a red “A”. 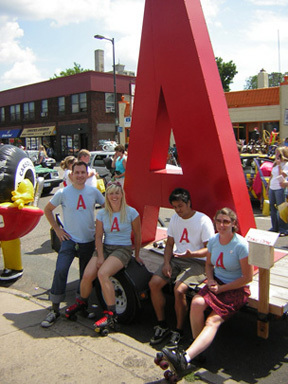 The Big A travels to different art events, neighborhoods parades, etc. 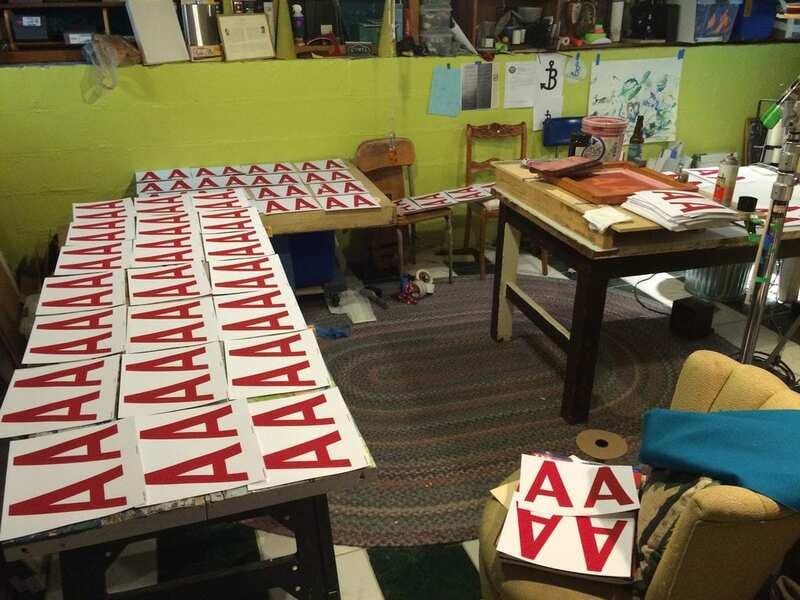 It has boxes for the signs with a short explanation of the project and the words, “take one”. It is a visible and recognizable sight as it travels through the neighborhood.